The Ottawa Redblacks have acqured linebacker Chris Ackie from the Montreal Alouettes in exchange for a second round pick in 2019. 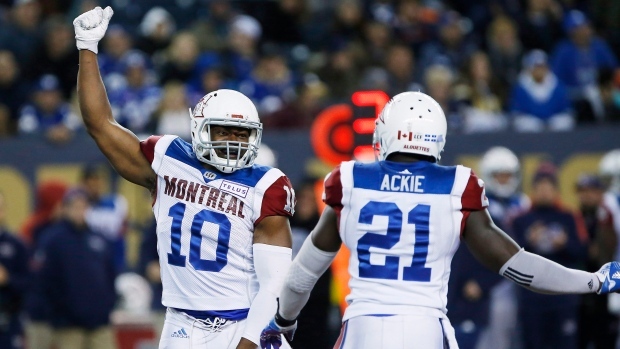 Ackie has spent four years with the Alouettes after being drafted in the first round (fourth overall) by Montreal in the 2015 CFL Draft. The Cambridge, Ont., native played his university football with Wilfrid Laurier. Ackie has a career-high 81 tackles this year and has played in 13 games with the Alouettes.